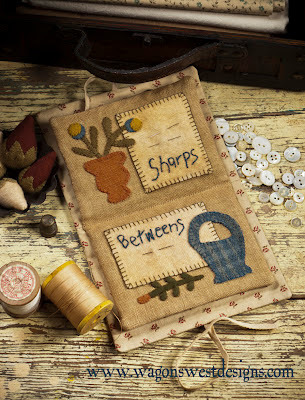 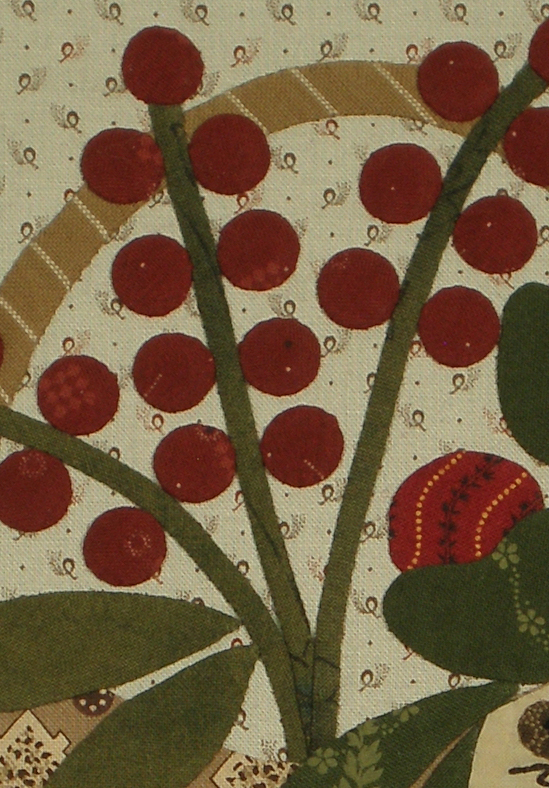 Below is a detail of the skinny stems on the Be Merry Journal Cover from my book "Be Merry: Quilts and Projects for Your Holiday Home". 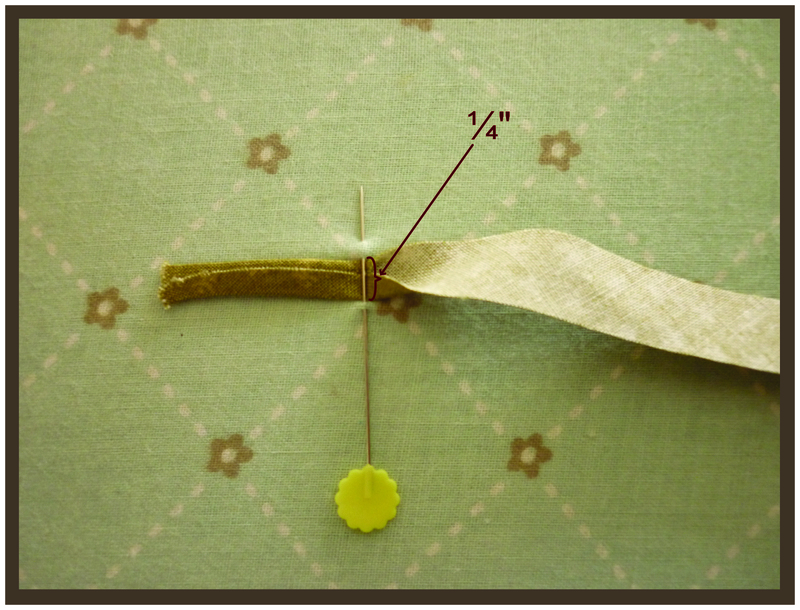 These stems are 1/8" wide, and I'm going to show you how I make and applique these stems. 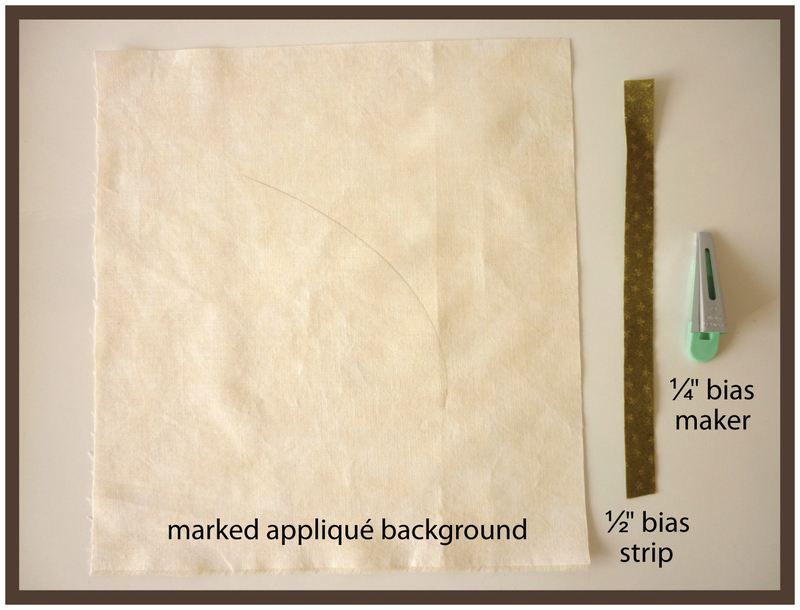 I use a method in which I prepare the stem with a 1/4" bias tape maker. 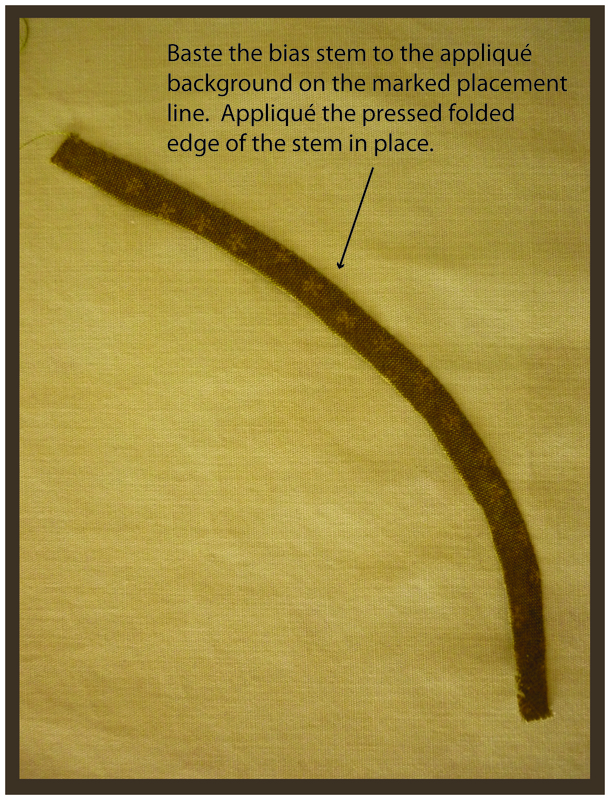 After making the bias stem, I trim one pressed-under edge of the stem. 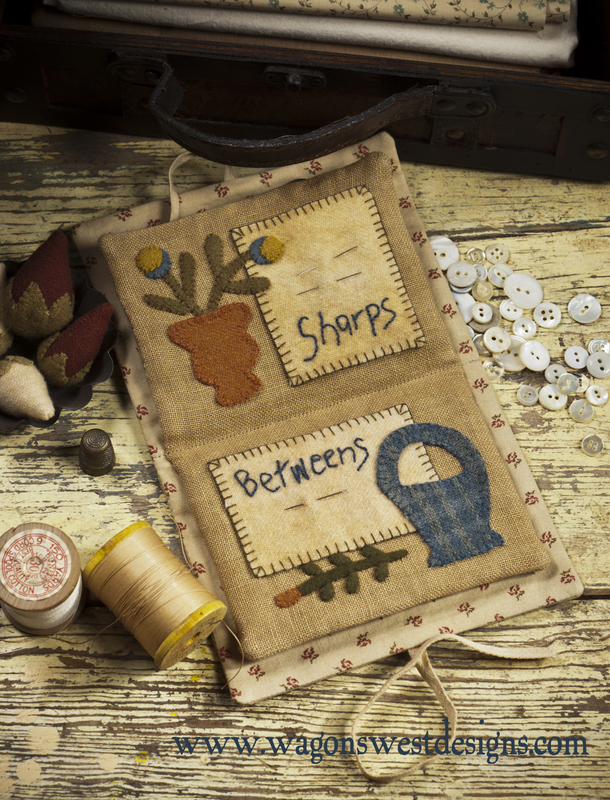 The remaining pressed edge gives me a nice sharp edge to stitch in place first. 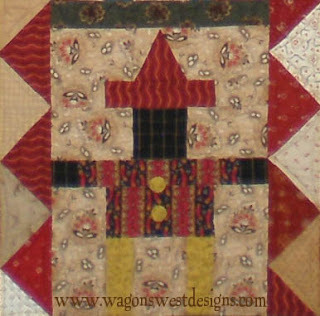 The other side, which is now a raw edge, I needle-turn applique. 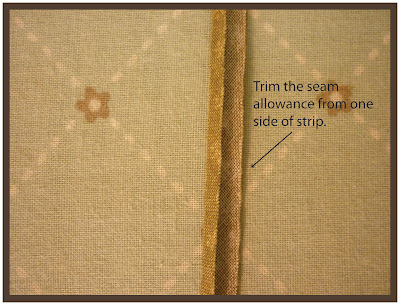 Following the manufacturer's directions, pull the 1/2" bias strip through the bias tape maker, and use a hot iron to press the seam allowances as you go. 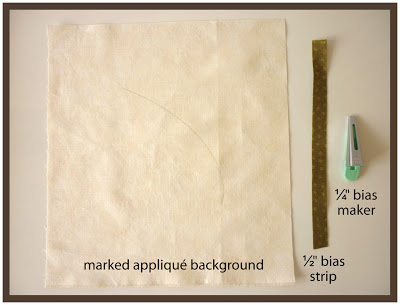 Pictured below is another method for making the bias stem if you do not have a bias tape maker available. 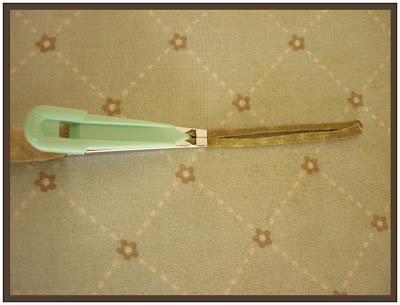 Use a long straight pin and pin it into your ironing board cover in such a way that it leaves a 1/4" opening for the fabric strip to be pulled through. 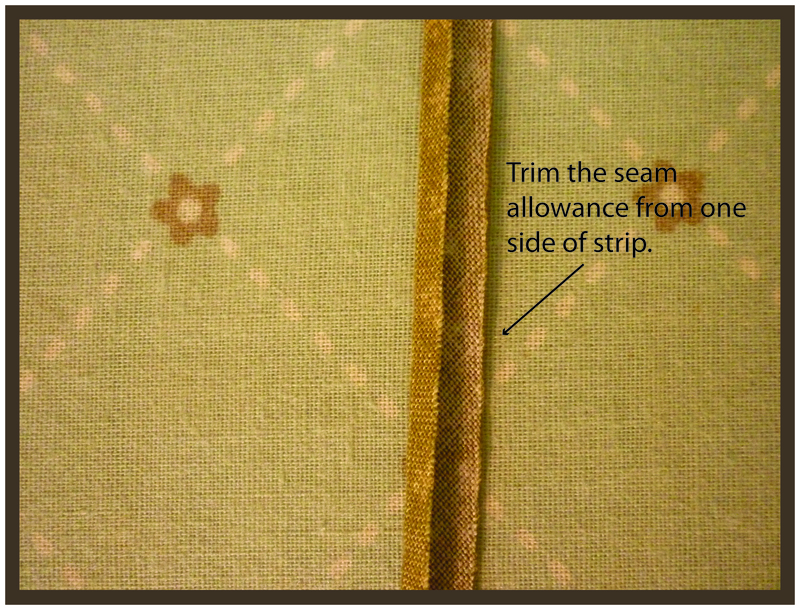 Next, cut off one side of the pressed under seam allowance. Baste the stem onto your applique background (I generally use applique pins for expediency). First, applique the pressed-under side of the stem. 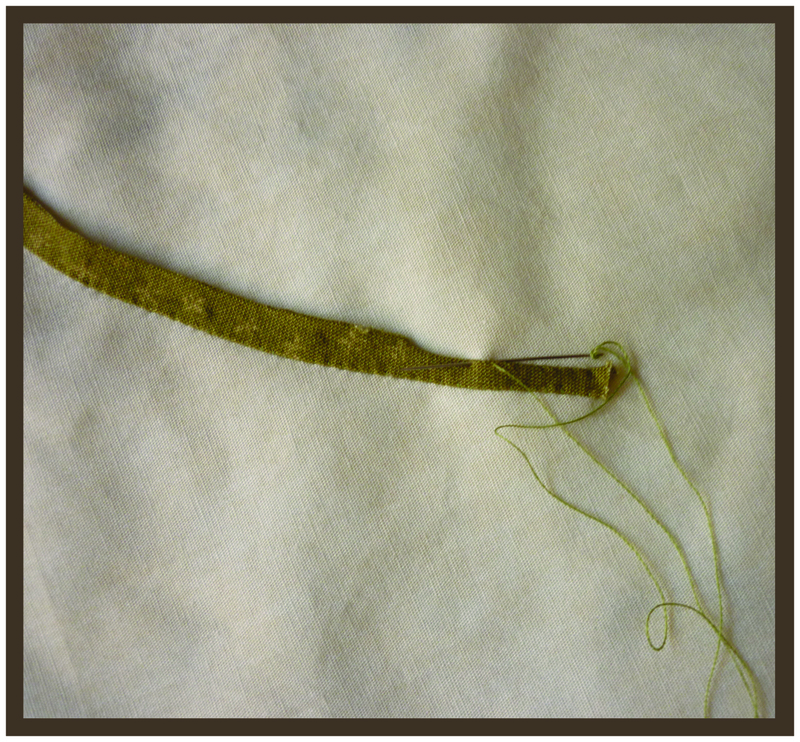 The opposite raw edge is next. 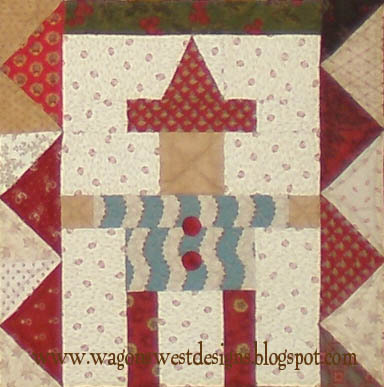 Needle turn applique this side. 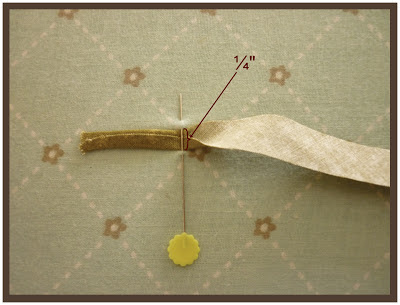 You will find how easy it is to turn. 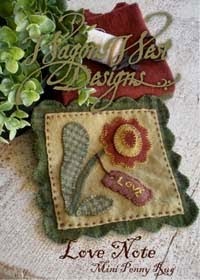 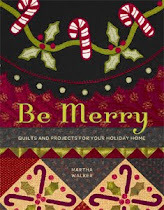 And here is the finished "Be Merry Journal Cover" with skinny stems. If you try my method for making skinny stems, please let me know what you think! 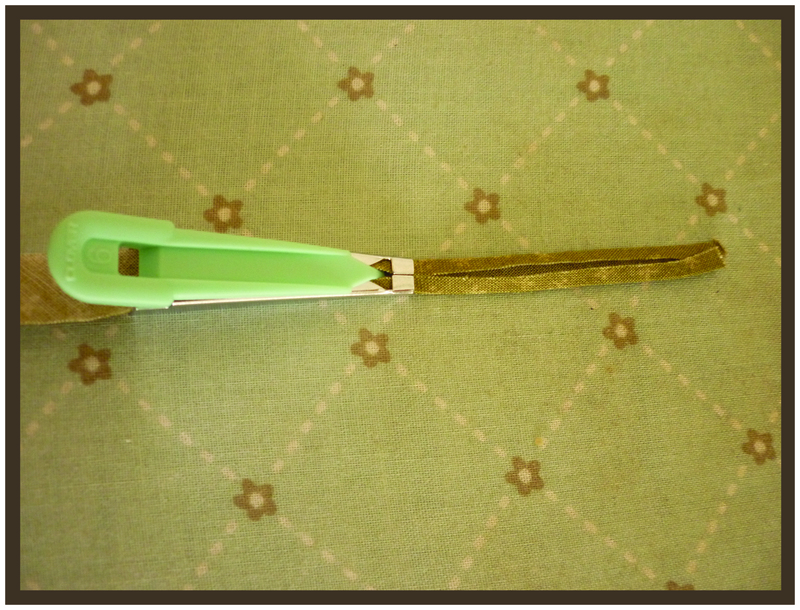 Well, we got our Christmas tree up yesterday, so today is the day to put on the tree lights - not my favorite part. 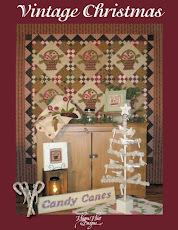 But putting on a little Christmas music can make even putting on the lights a little bit fun. Cookies baking in the oven wouldn't hurt either! 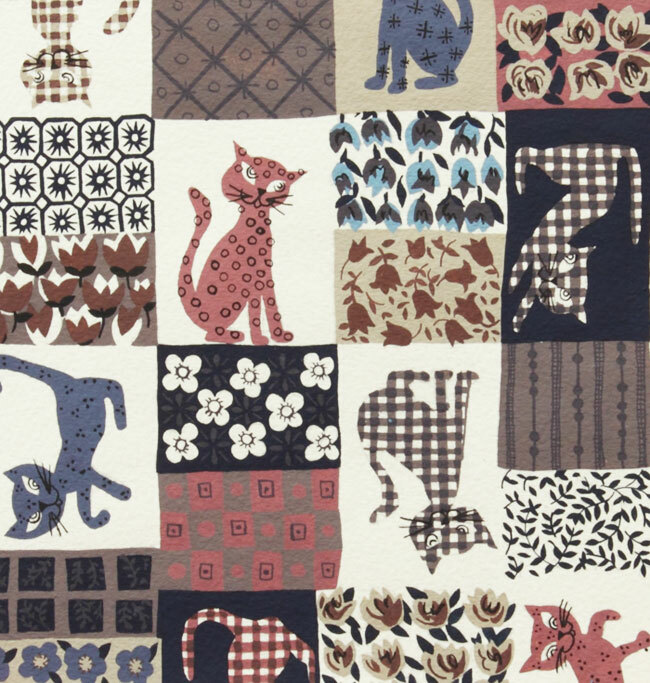 It's the last day of November, and it's been a busy month. 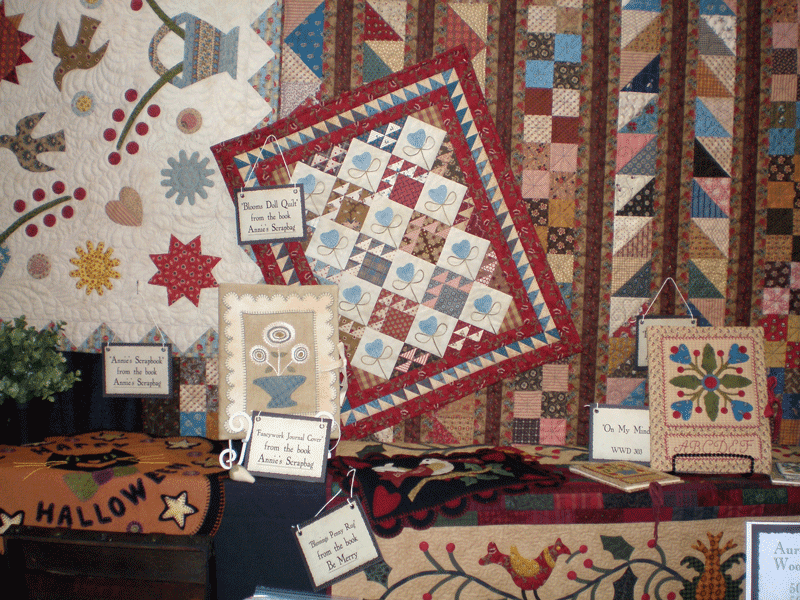 We had a booth at our first retail show ever at the Holiday Quilt, Craft and Sewing Festival here in Phoenix, held at the Arizona State Fairgrounds Nov. 8, 9 & 10. 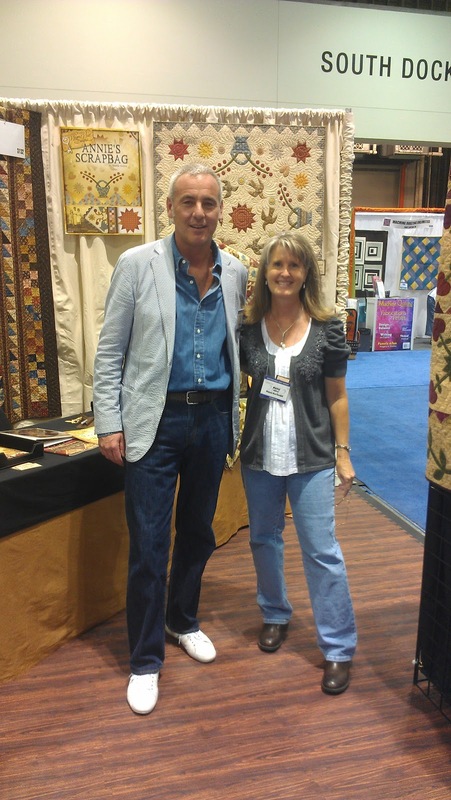 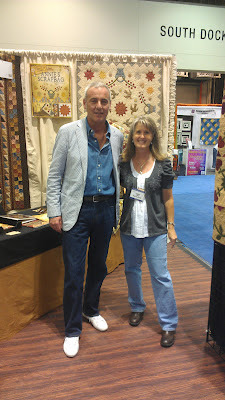 It was a three day event and it was fun to meet new customers and see old friends. 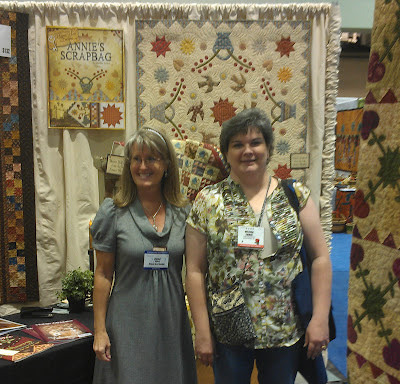 I was so happy to find that right across from our booth was my friend Angie Steveson, of Lunch Box Quilts, demonstrating her machine appliqued embroidery technique for 35th Ave. Sew and Vac. 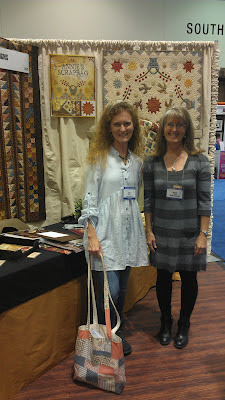 And to add to my good fortune, my booth was sharing a back wall with another friend, Trish Harriman's booth, Attic Heirlooms. 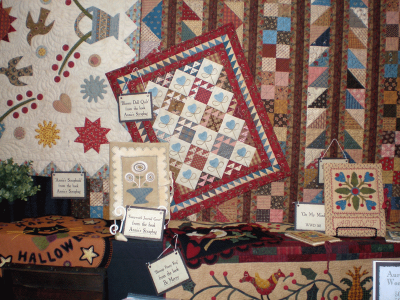 Trish hand dyes wool and designs patterns for a variety of needlework, such as needlepunch, rug punch and wool applique. 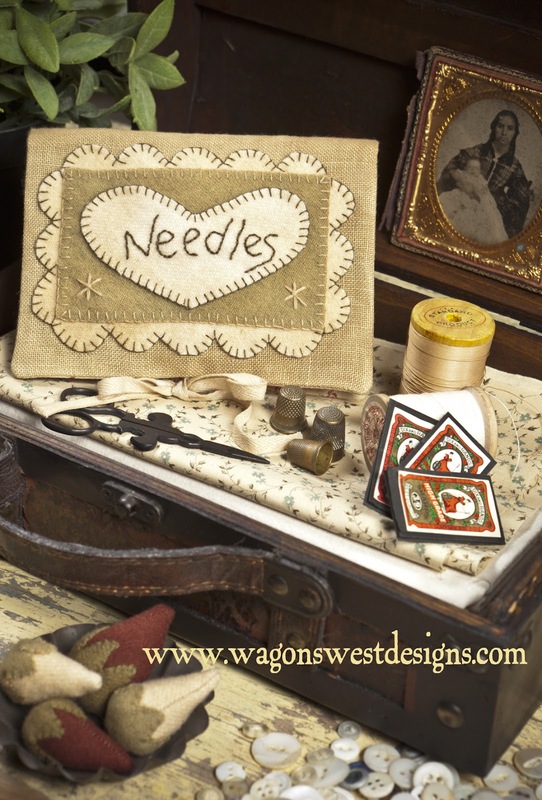 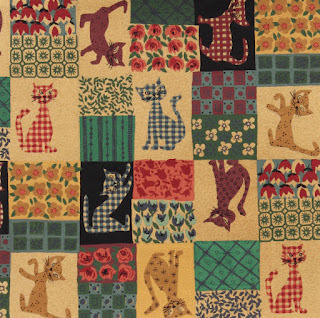 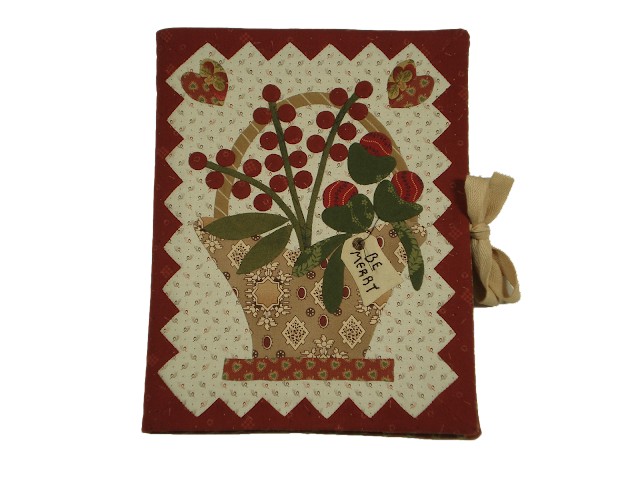 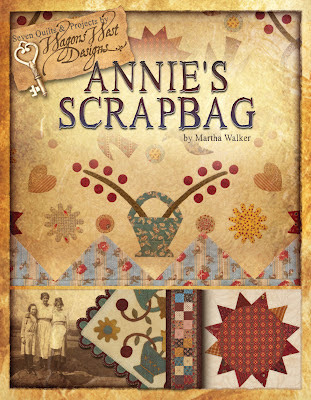 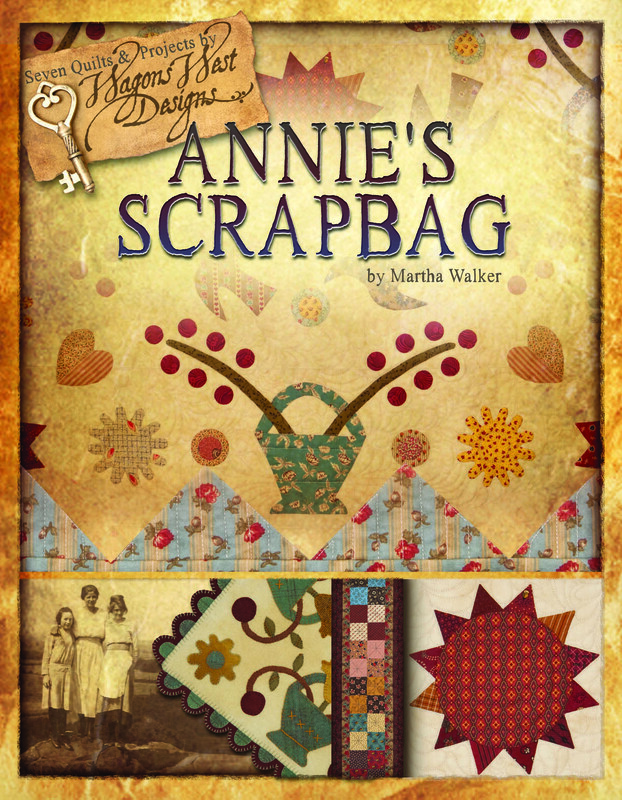 Trish will be making kits for my "Countryside Needlebook" pattern from my book Annie's Scrapbag, and selling them in her Maine shop, as well as her booths at the various shows where she will be a vendor (check her calendar for her show schedule). 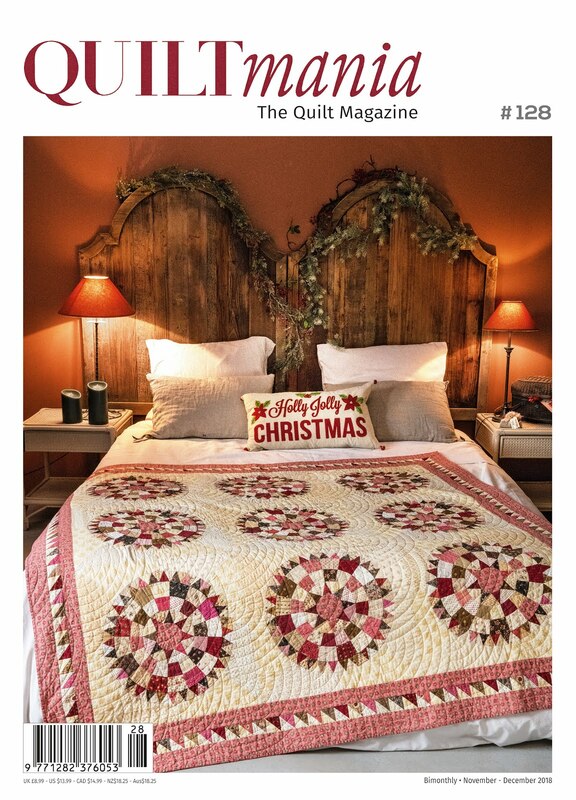 Santa showed up to help me out, too! 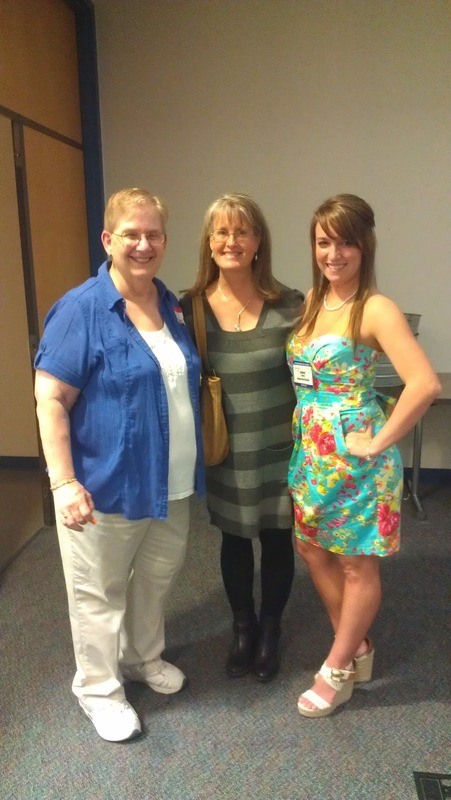 How lucky can a girl get? 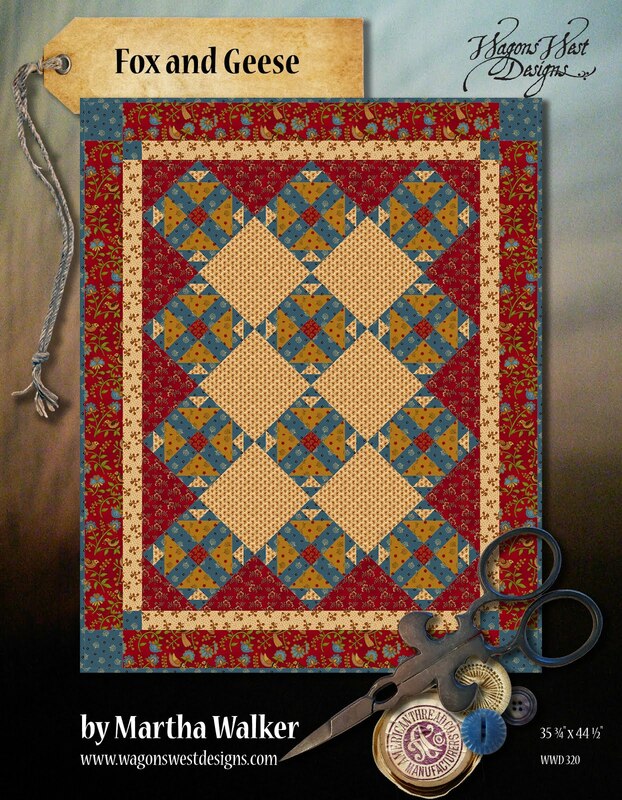 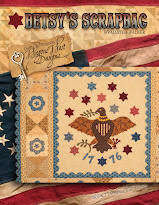 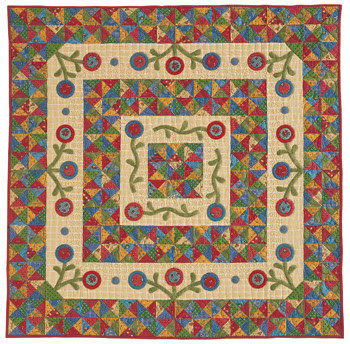 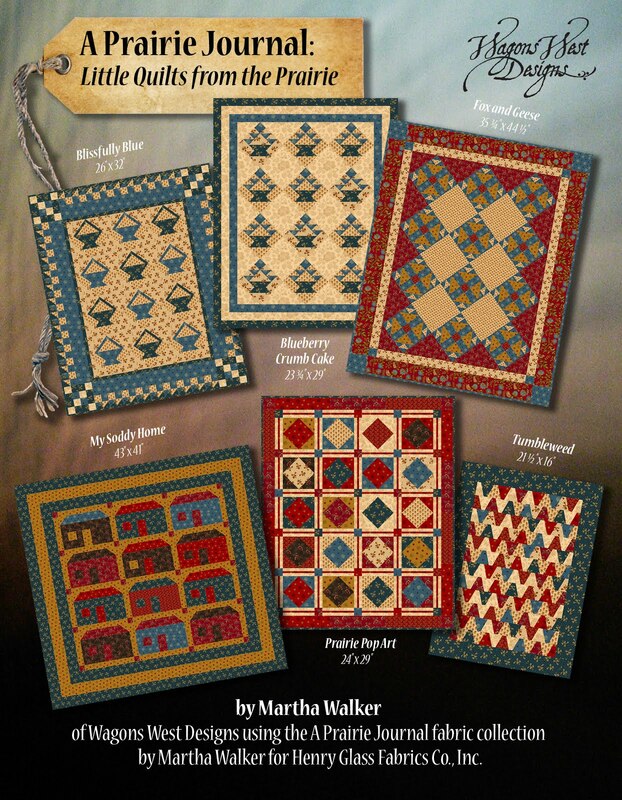 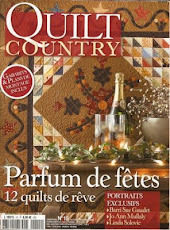 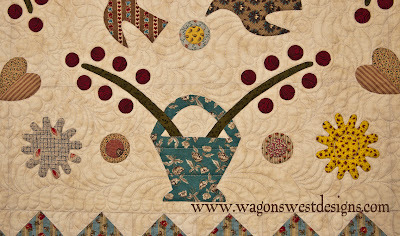 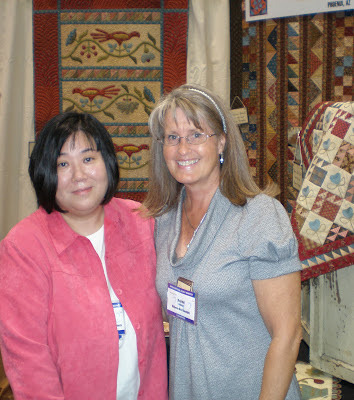 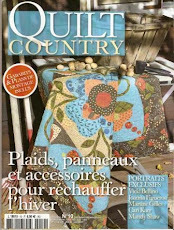 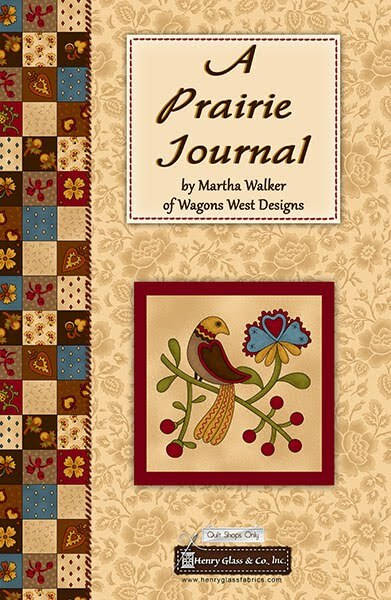 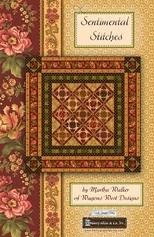 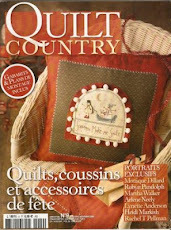 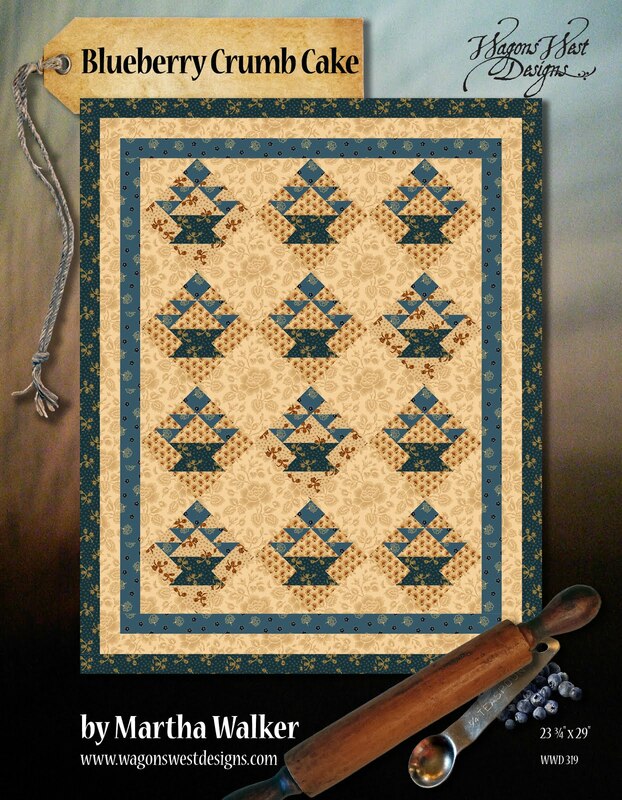 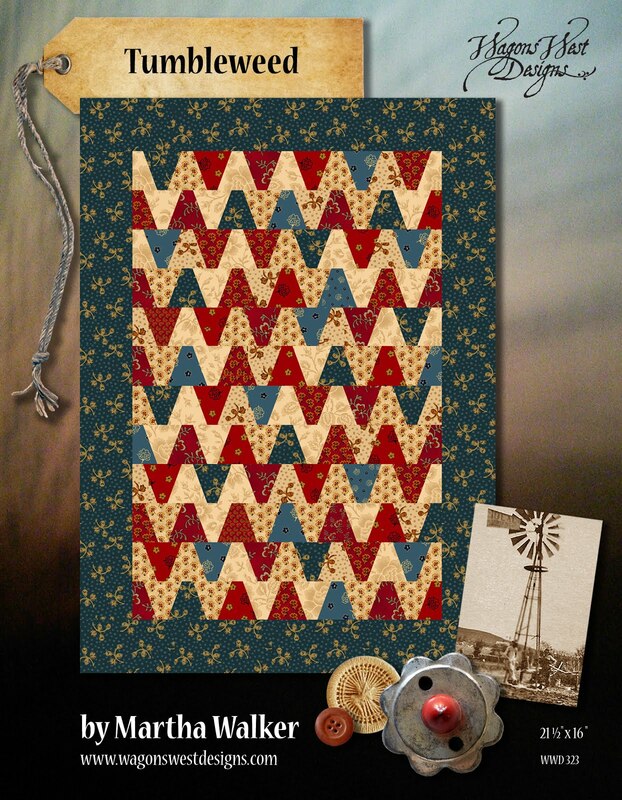 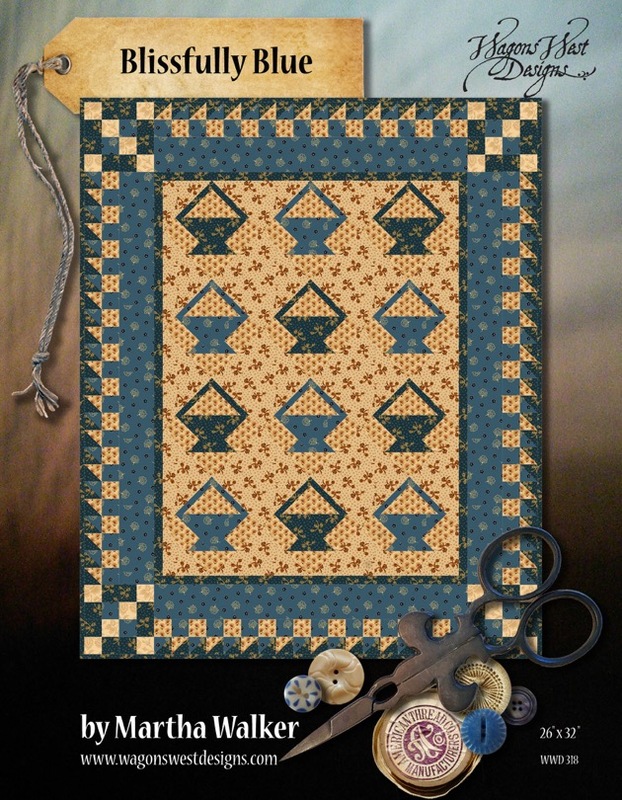 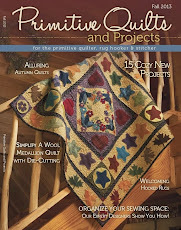 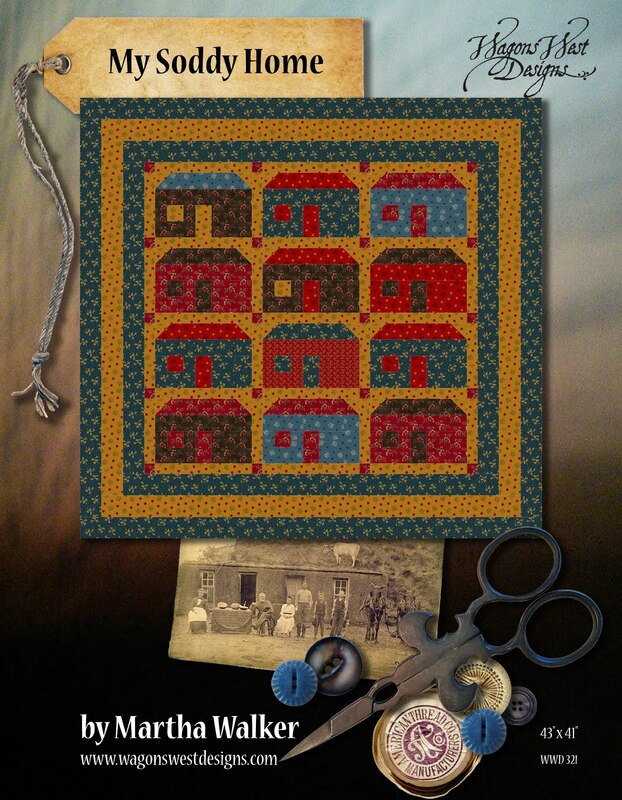 Have you seen the Fall 2012 issue of Primitive Quilts and Projects magazine? 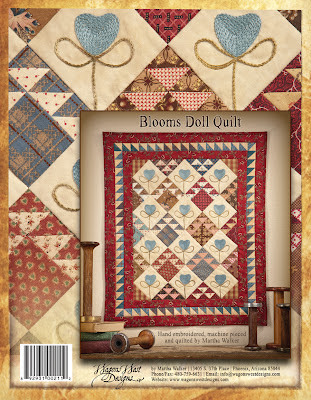 It should be reaching newsstands soon. 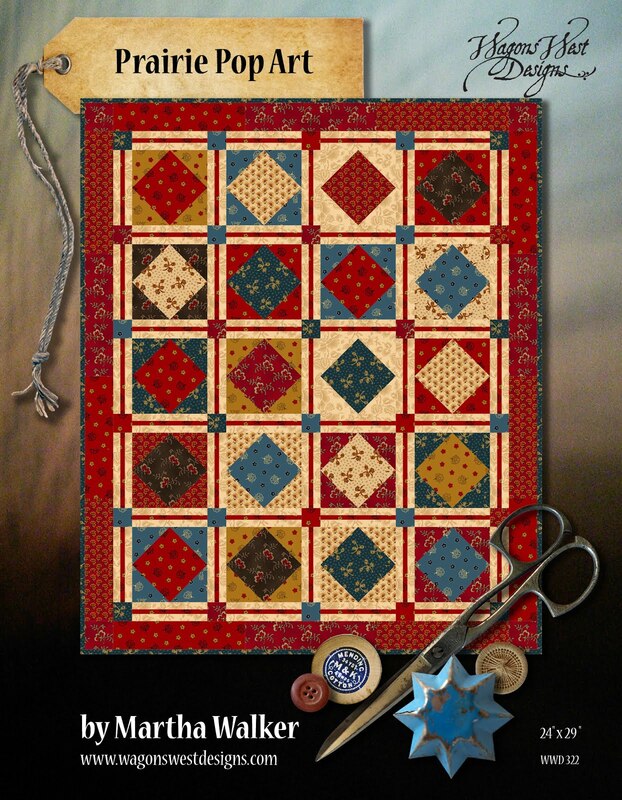 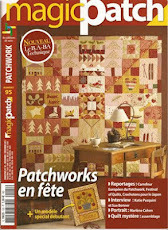 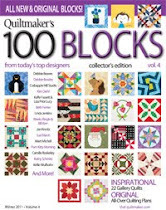 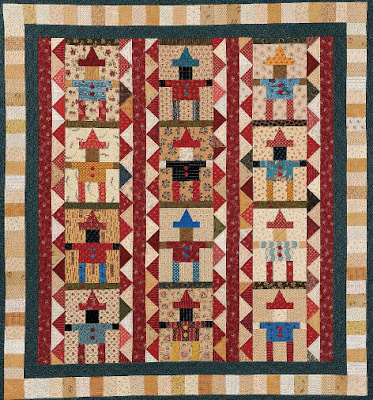 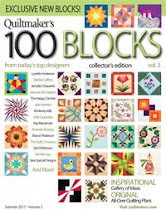 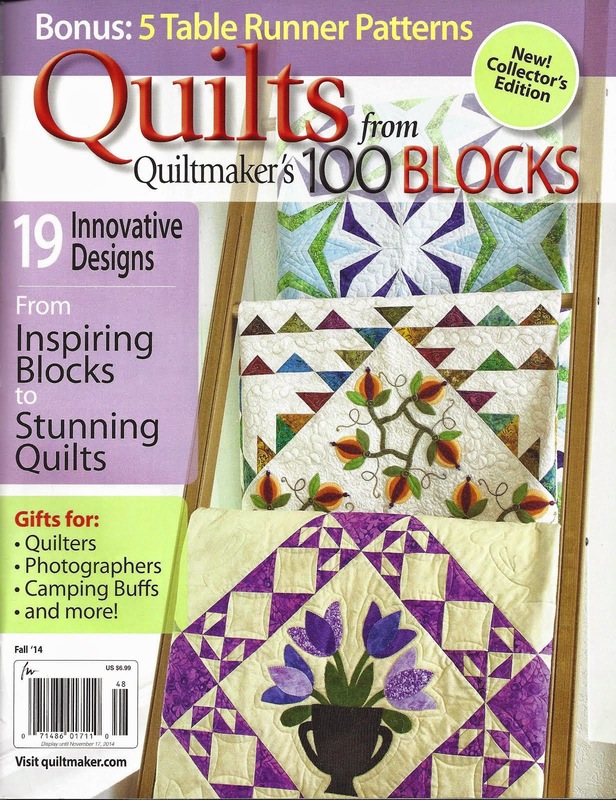 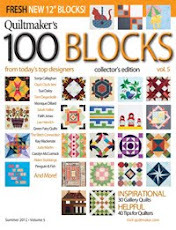 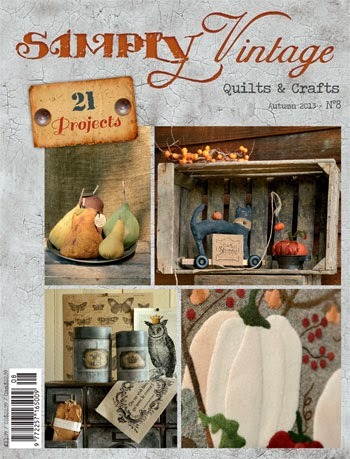 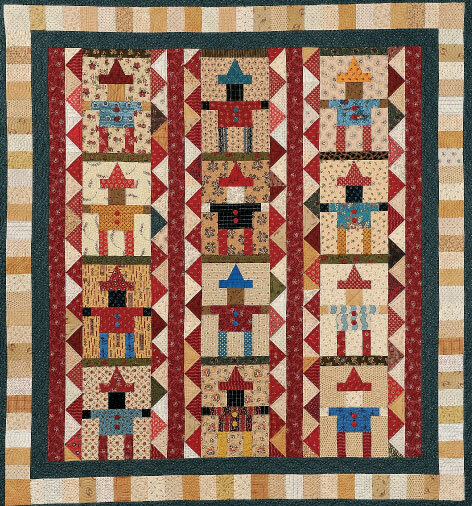 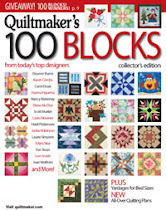 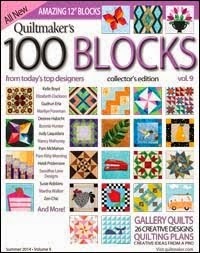 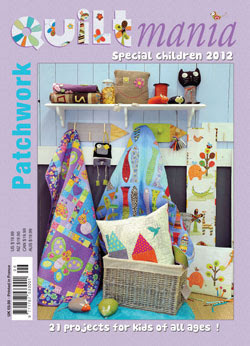 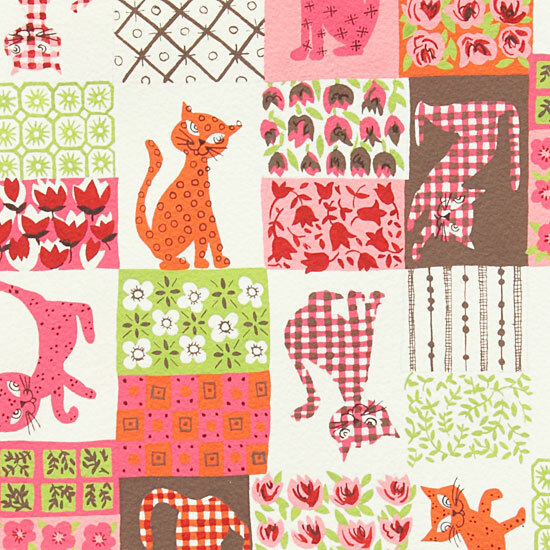 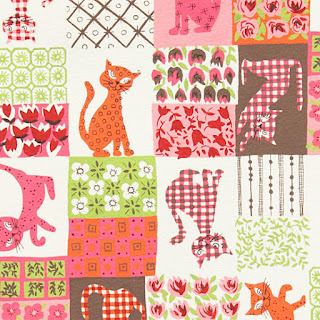 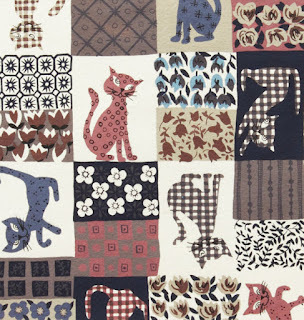 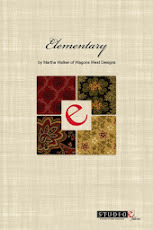 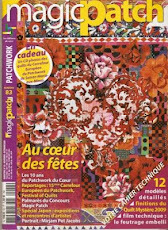 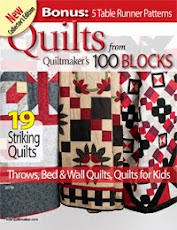 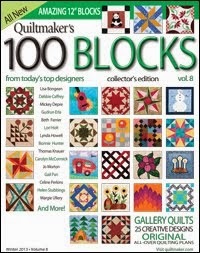 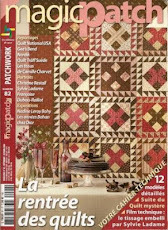 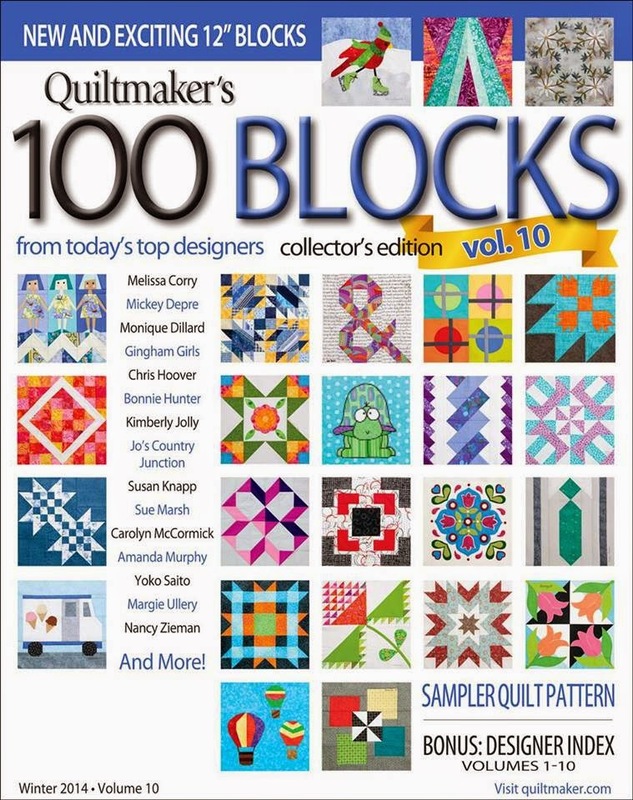 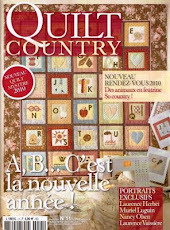 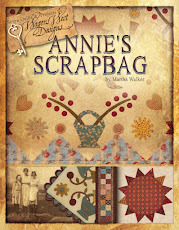 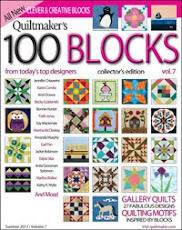 My little quilt "Board Game" is one of the 15 featured projects in this wonderful issue! I hope you're getting a lot of sewing time in this summer! 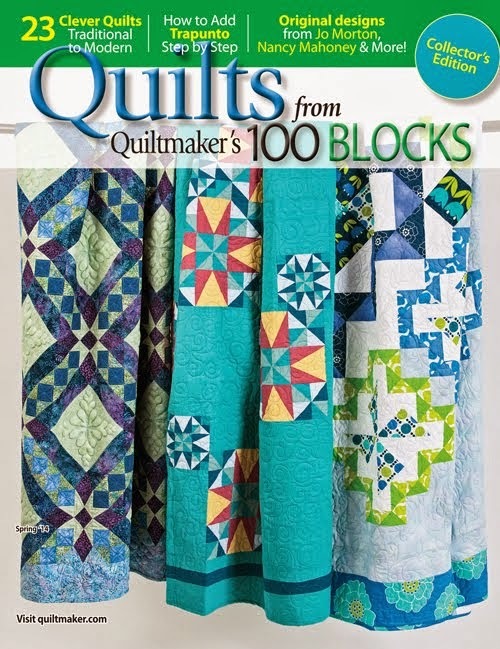 So far, I have not. 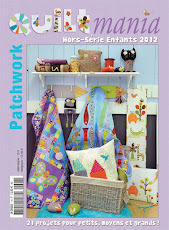 But hopefully, very soon!